Even though Spring doesn't seem to be right around the corner right now, I am really wanting a colorful trench coat. And not winter's usual red, navy, grey or black. 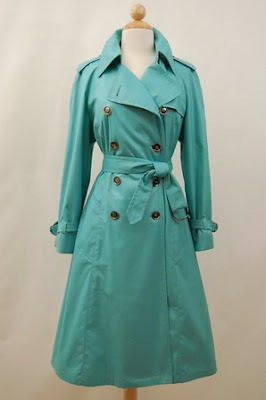 I believe that a teal or pink trench coat would be the perfect transition from Winter to Spring. Don't you? I was in Kohls earlier and I found a few cute ones in the "Lauren Conrad" brand and the "Elle" brand. I'm really liking that tealish coloured one. but yes! it's time for bright colors already!!! i would take the teal one, only because it's my favorite color. aw i love the LC brand. and i like the red one. I love these coloured trenches, especially the second one! i like the teal a little more, it's just the perfect pop of color to any outfit. It's hard for me to say which I would personally go for, but I'm thinking the teal. 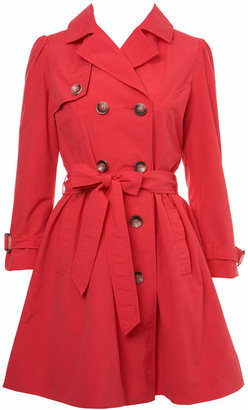 It's just such a great surprise color for a trench! Haha, I agree! Haha, I know Jennifer. I really want them now too!